It seems that we are living in the age of do-it-yourself work. Entire television networks are devoted to showing people how they can handle just about any job around the house. But is this the best decision for you and your home? In many cases, the answer is no. This is especially true for DIY roofing repair. Champion Services wants to show you the pros and cons of DIY roofing work so you can make a better, safer decision. To be quite frank, there aren’t that many pros to DIY roofing work. Convenience plays a large role in why some choose to work on their roofs themselves. Many homeowners think they don’t have time to schedule a roofing service to come by. They also like the idea that they can go out and work on the roof whenever they have time. And, of course, there’s the money that people think they’ll save by doing the work on their own. While convenience and money are nice, you have to understand that even a little DIY roof repair job can wind up costing you a lot. Working on ladders and on roofs can land you in the hospital if you aren’t cautious. 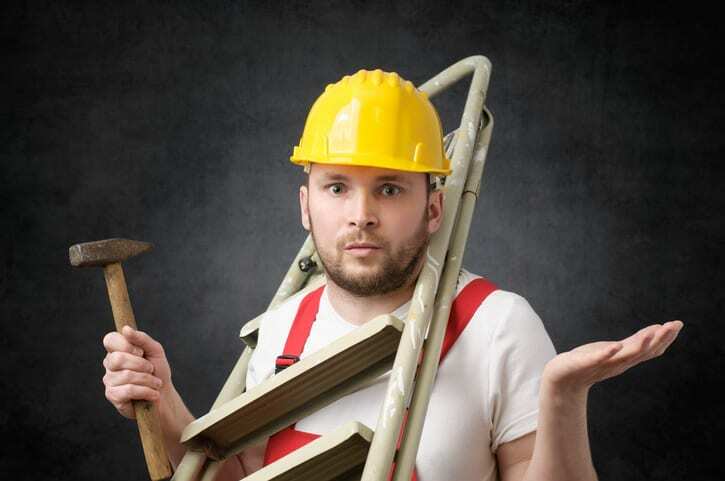 Many serious, and sometimes fatal, accidents have resulted from DIY roofing repair jobs. You really need to be confident and knowledgeable about roofs in order to conduct this type of work – and most homeowners simply aren’t. Plus, if you don’t properly repair your roof, you run the risk of making a minor roofing issue even worse. That means it will be costlier to fix. Don’t put yourself – and your roof – at risk when there are people you can call who are professionals at roofing repair. You can always call Champion Services for quality roofing work on your home.